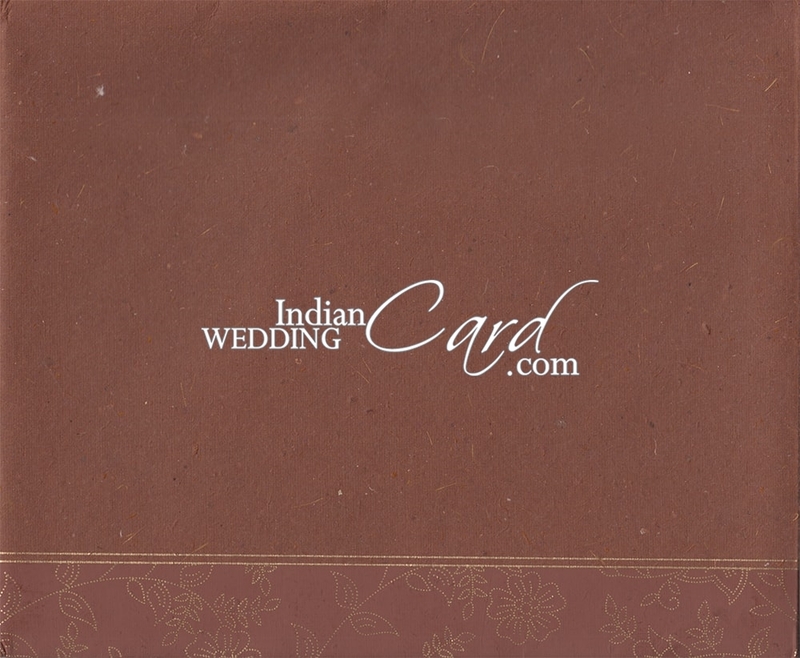 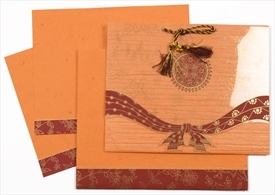 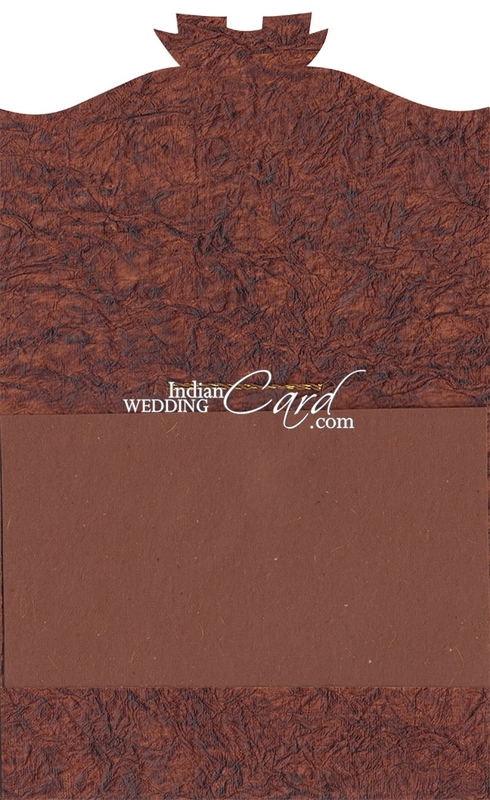 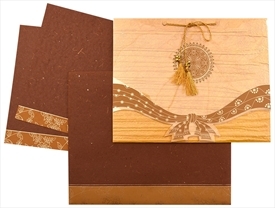 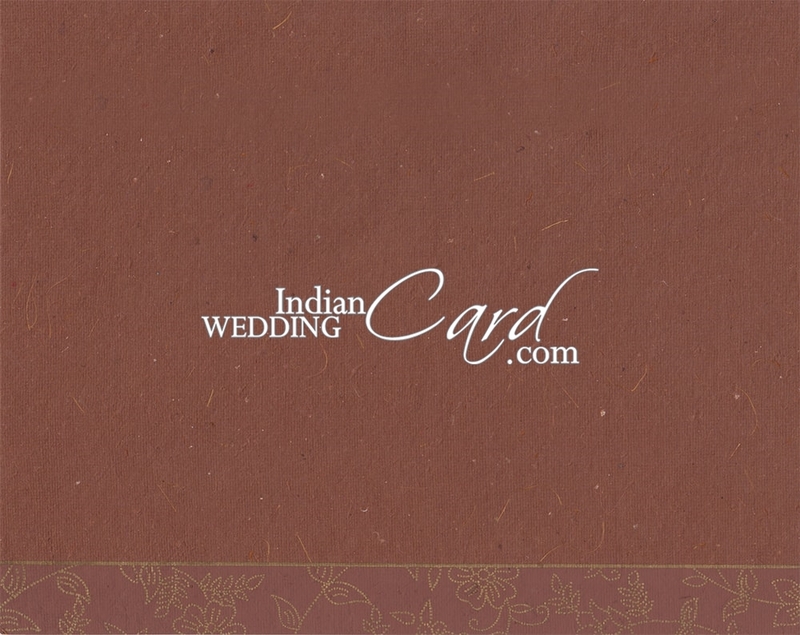 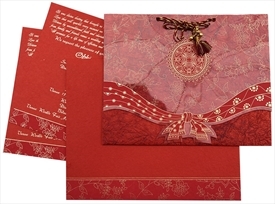 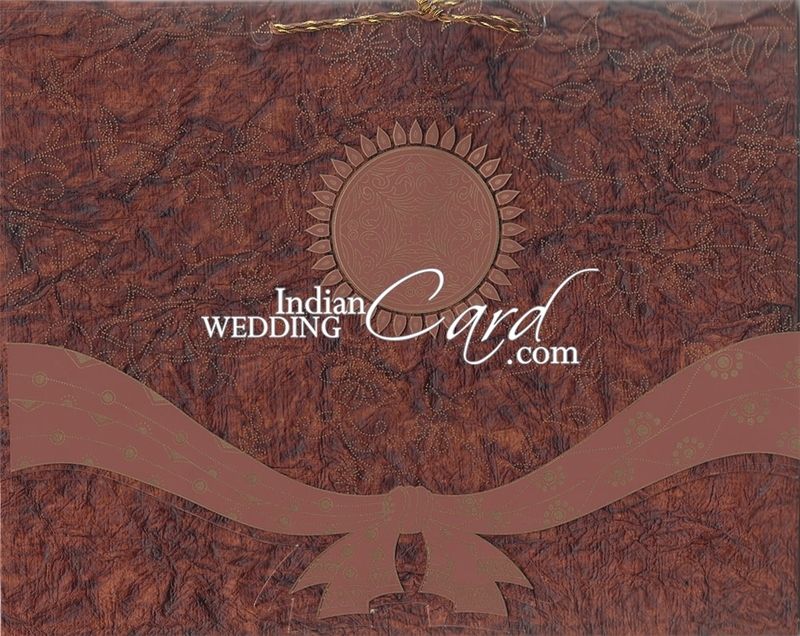 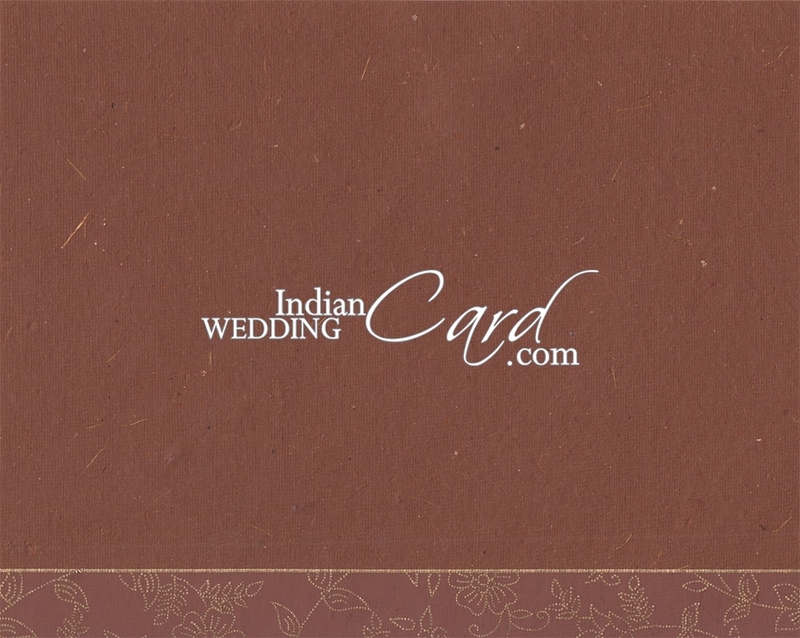 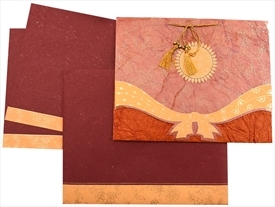 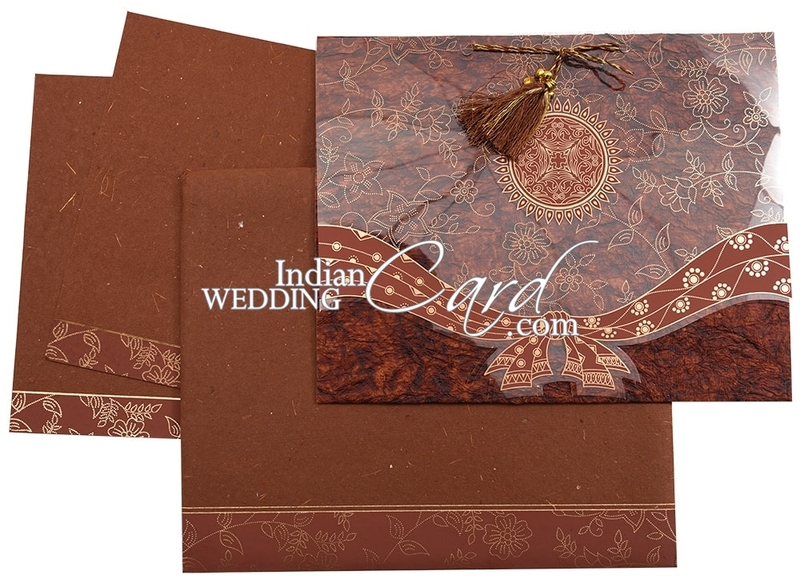 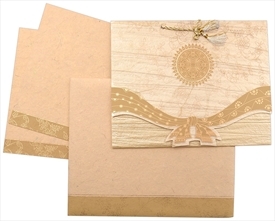 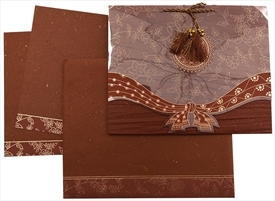 Description: The PVC overlay on the front of the 3 fold card has silk screen printed Gathbandhan (the Knot), floral pattern and a center circle to print initials or any symbols. 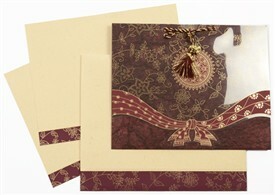 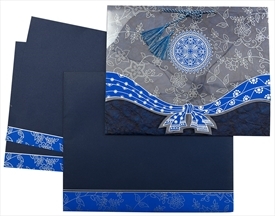 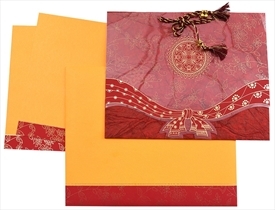 It is tied to the card with matching tassel. 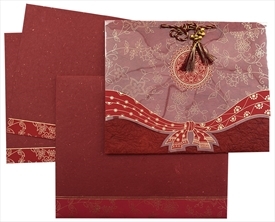 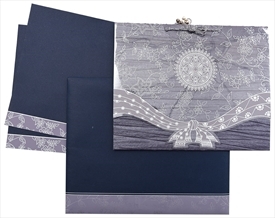 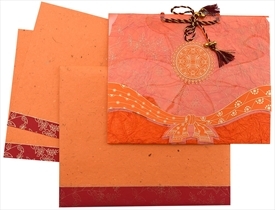 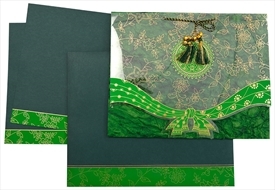 The 2 Inserts and envelope also have a matching border at the bottom. 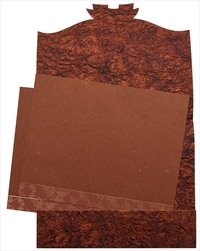 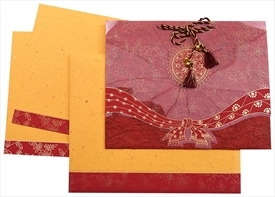 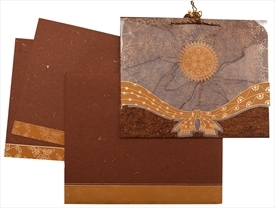 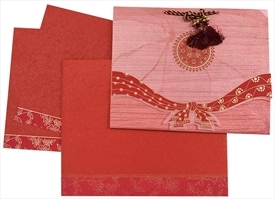 Printing Color: Silk Screen printing in Gold color.